MPNforum Magazine’s May issue is now on the newsstands …or your computer monitor at www.mpnforum.com. It kicks off with a trip Through the Looking Glass and presents an enormous birthday present to readers. There’s an inside look at the actual workings of the Foundation and a report from the Council: Will the Forum start running ads? And, of course, Our List of Hematologists, poetry, and columnists exploring MPN/MPD unity, spiritual pathways, food on the road, and coke bottle leg. Coming of Age Is MPNforum about to start running ads? are important to our planning. HI, Patti..Glad you’re digging into the back issues. Our Facebook group is closed only to help preserve the privacy of participants. 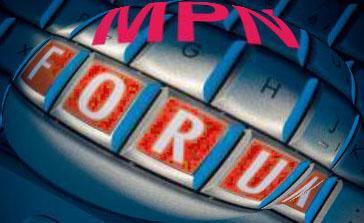 The conversations are not visible to the Internet as a whole…as opposed to MPNforum Magazine….but only to the group. To join is simple. You simply request, at the site. If you have a current Facebook site I can try to sign you up now. First of all, thank you for providing a way to access previous stories/columns. As someone who found MPN Forum a little late, it is great to have these available. I would like to be a part of MPN Forum on Facebook, but noticed it’s a closed page. Is there a process for gaining access? Thanks.